The most terrifying event of the week happens Tuesday night at Cedarcrest High School. 8th-Grade Parent Orientation Night + My Daughter is Starting High School = I am OLD. The fun starts at 6:30pm. In other big kid milestone news, kindergarten registration packets for next fall are available at all Riverview elementary schools starting Wednesday. The monthly Duvall Poetry meetup is happening this Wednesday at the Duvall Library from 7-8:30pm. The mic is open. The poetry is hot. I believe berets are optional. Do you like trivia games, pizza, popcorn and stinky middle schoolers? 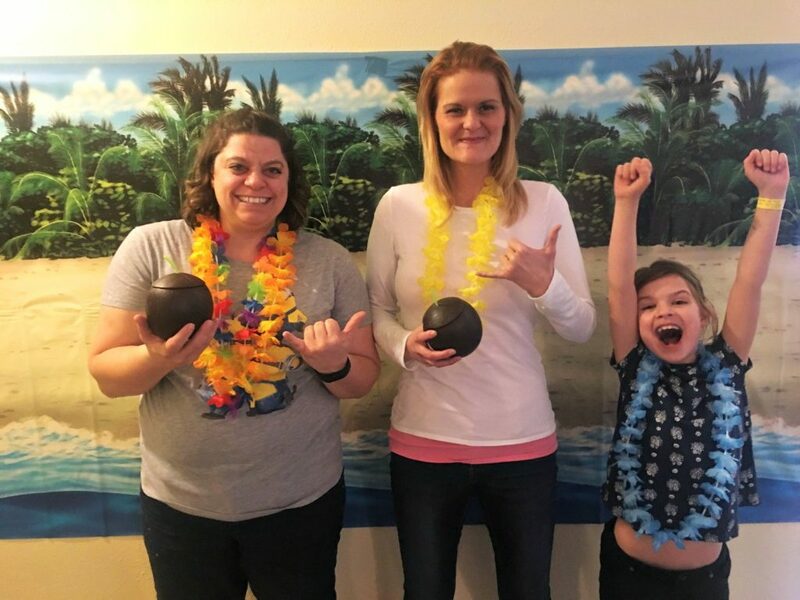 We’ve got you covered this week with the Tolt Family Trivia Night on Friday, March 3rd. If you want to trick your fifth grader into thinking middle school is all fun and games, this is the night to do it. 6pm. Also Friday, if you don’t want to eat your vegetables, paint them instead. NWAC will teach you how. They’ve got classes going on all the time. They’re just not usually this healthful. If you’re planning to register for Eagle Rock, packets are due on Friday. There’s a self defense class at the library on Saturday. No black belt required. And if you didn’t get enough veggie art at NWAC, you can come to the library and make a vegetable crown in preparation for March of the Vegetables later this month. 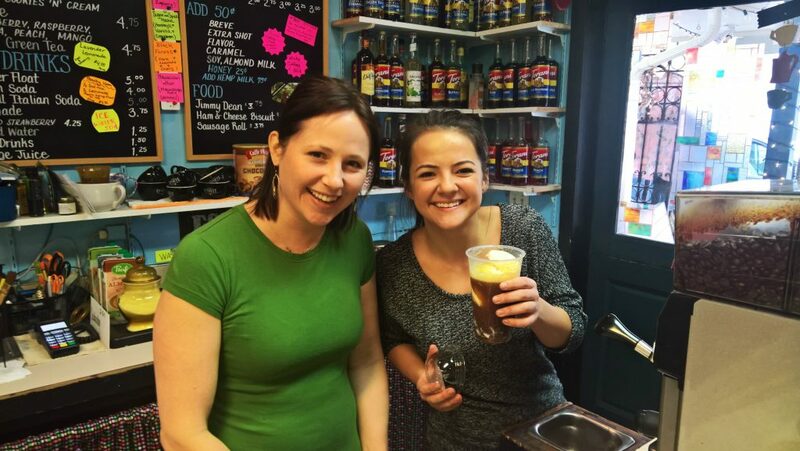 The Cherry Valley Winery tasting room is open on Saturday for all your tasting and wining needs. On Monday, celebrate one of your favorite US presidents or declare your intention to run in 2020. 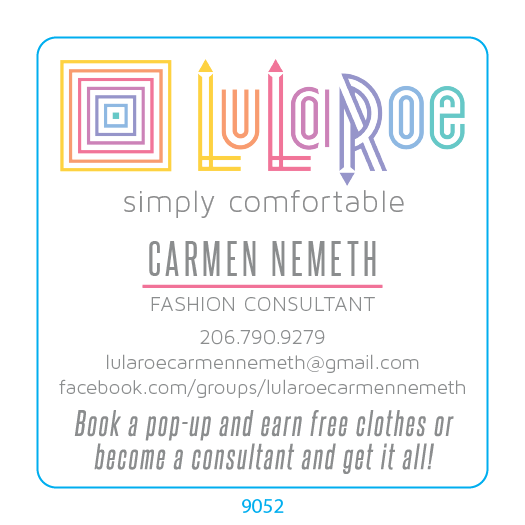 Need to run errands Monday without your kids, ages 2-8? 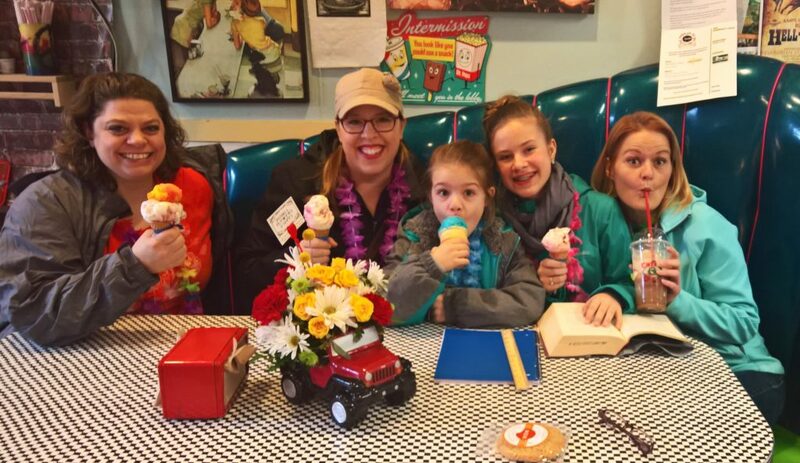 Drop them off at the Duvall Cooperative Preschool for Parent’s Day Out. Childcare is available from 10am-2pm. There ain’t no school in Riverview School District this Monday and Tuesday so I’m taking a break from grammar. 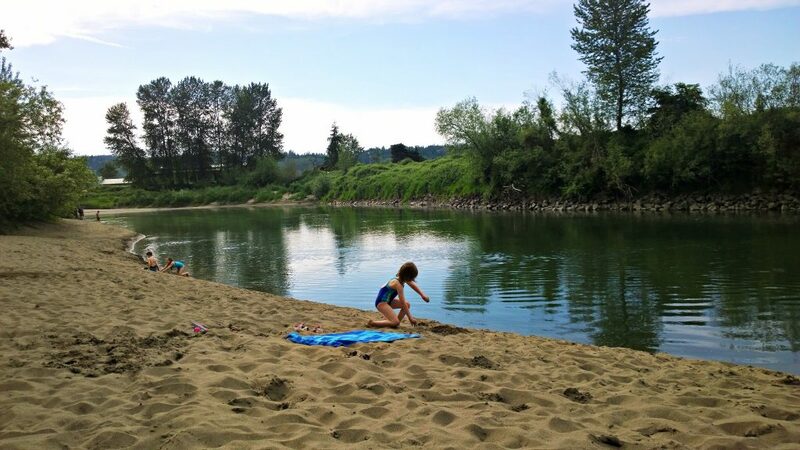 Tuesday night, treat yourself to a Duvall City Council Meeting at 7pm at the Riverview Educational Service Center. This Wednesday at the library is the KCLS monthly middle school book club, Pizza and Pages. It’s at the Duvall Library. The pizza will be hot, as well as the pages. As penance for missing class Monday and Tuesday, Riverview students will attend school for a full day on Friday, the 24th. If you’re excited about the March of the Vegetables parade but you haven’t made your costume yet, join Art in the Barns for a fabric costume design class on Saturday from 1-4. Look at their calendar for future classes. 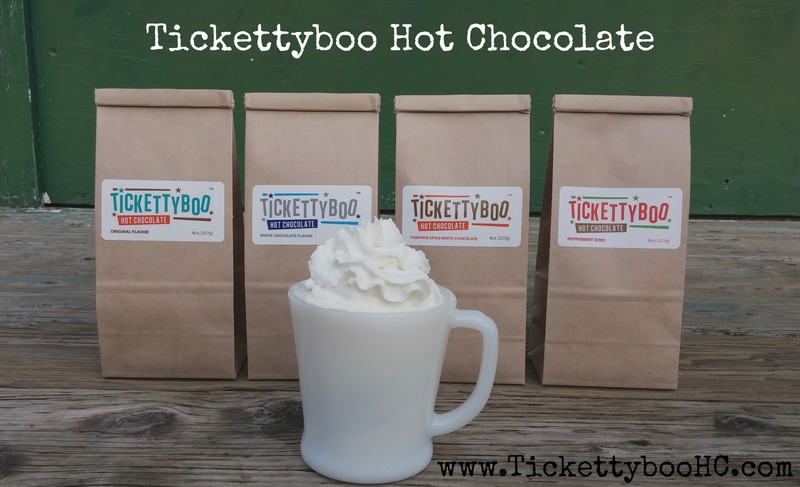 Saturday, February 25th at 8am Rustic Cabin Coffee is cutting ribbons. Perfectly good ribbons, ripped to shreds, deep in the heart of downtown Duvall. Coffee, adventure, defacement of sewing notions. Remember when you registered for the Riverview Education Foundation auction on the 25th so you could get so so fancy with your school district friends? The wait is over. It’s this Saturday. It may not be fat and it won’t be a Tuesday, but on Saturday there’s a Mardi Gras party and dance at the B.A.B. at Lake Margaret in Duvall. Dance lessons. Desserts. Masks. Beads. 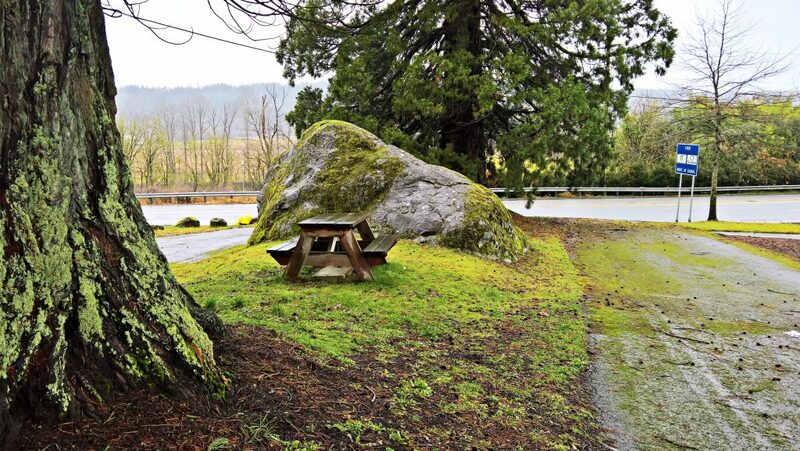 I’ve heard all kinds of things about the tiny park next to Safeway as you enter Duvall. We moved here in 2006, when Safeway was already a thing and Big Rock Road was no longer the site of a noticeably large rock. The road’s name, at that time, was a mystery to me. Every time I’d drive along Big Rock Road, I’d look for the large boulder. At one point, someone convinced me that the oversized pebble marking the entrance to Big Rock Field WAS the Big Rock… and I was underwhelmed. Because, when you name an entire road after the largeness of a certain landmark, size is important. 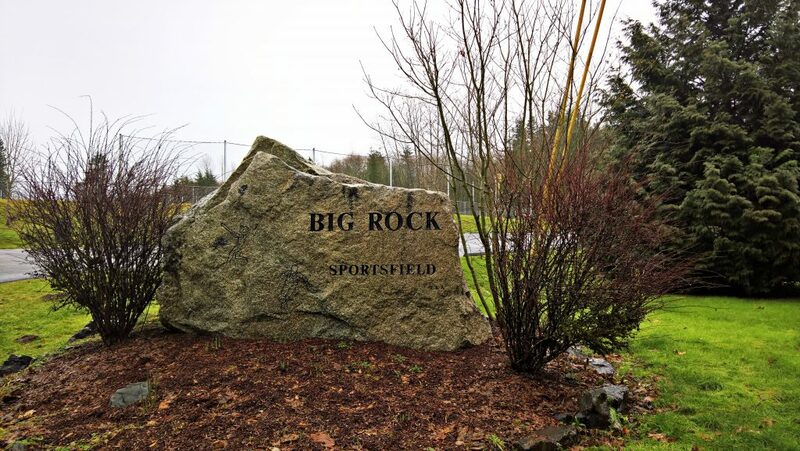 Big Rock FIELD is the sports field on the north side of Big Rock Road just past Roney. It is home to two baseball fields, a skate park where kids can participate in legal graffiti and pretend not to smoke, a giant soccer field surrounded by trees so the sports players’ younger siblings can go Lord of the Flies in the woods, and a playground structure. 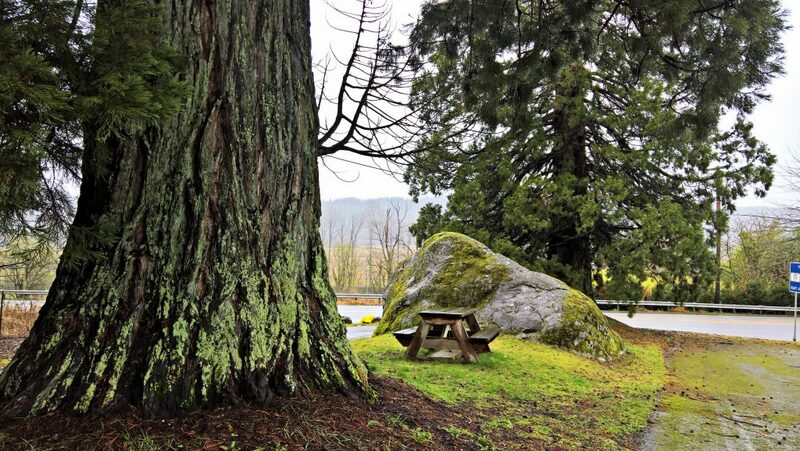 Big Rock PARK, which you may remember is the actual subject of this post, consists of a giant rock, two sequoia trees, and a picnic table. It’s at the end of a dead-end road next to a grocery store parking lot. It welcomes you to our city. 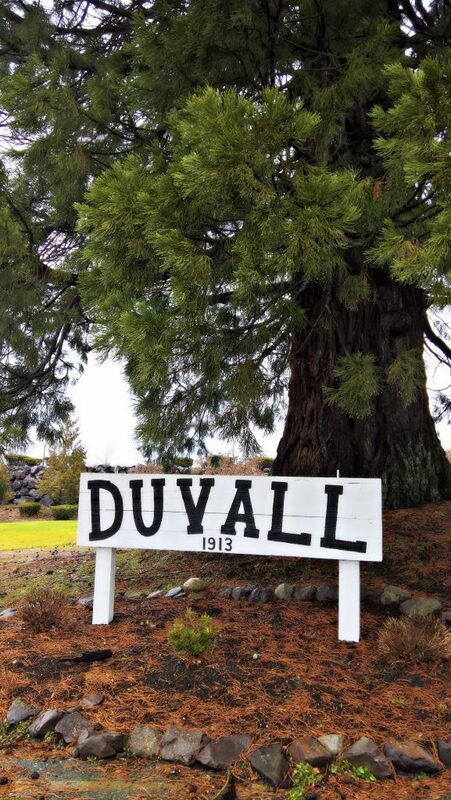 The famous Duvall 1913 sign is posted here as you enter town from the south. Several people have told me that it’s the smallest state park in Washington. It is not. Sometimes it’s referred to as “Big Rock State Park” online. That is not its name. 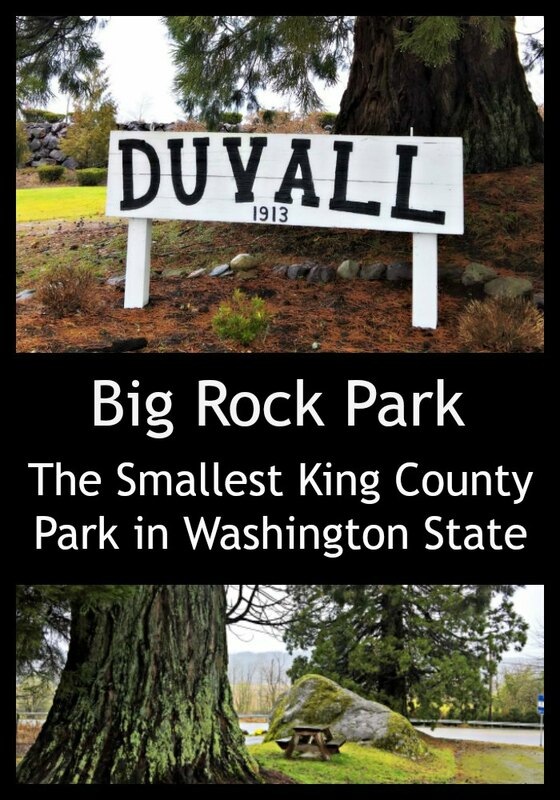 According to SeattleTimes.com, Big Rock Park was acquired by King County in 1952, and then in 1974 they renamed what was then J.D. Mercer Road to Big Rock Road. At that time, Big Rock Road ran right past the park, to the south of the now-existing Safeway complex. Eastbound traffic ran on one side of the park and westbound traffic on the other. Hence, the road’s name made sense… RE: it was divided by a large rock. 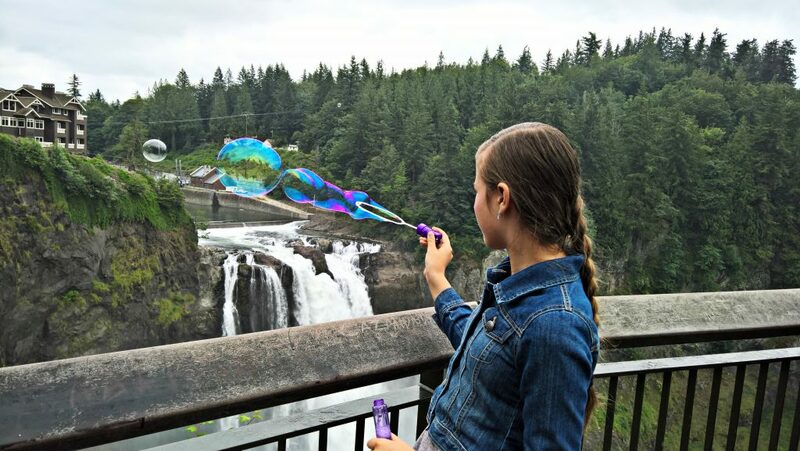 Now, if you’d like to visit the park, and you really should because it’s awesome, you head up Big Rock Road from 203 and turn right just past Safeway onto NE 140th Street. Follow it for 30 seconds until it dead ends at the park. Have a picnic and let your kids climb the giant rock until they fall and break a limb. Then enjoy looking up at the impressive sequoia trees. There are several stories about the origin of the trees, since they are not native to the Pacific Northwest. “Probably the most accurate [story] is that T.R. Hopkins provided the sequoia seedlings, sometime in the early 1900s. 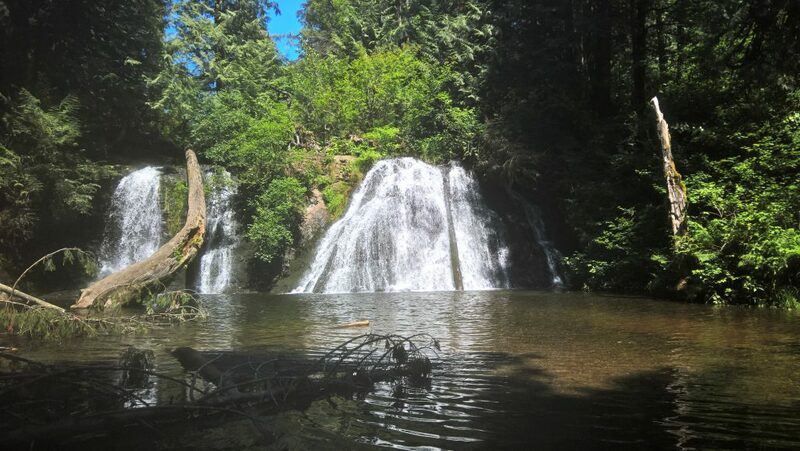 A horticulturist and nurseryman who ran a small tree farm in Duvall, Hopkins was considered a sort of Johnny Appleseed of the Pacific Northwest. Another yarn has a couple of schoolteachers from Duvall visiting in California in the early 1900s and bringing the sequoia seedlings from there. I like to imagine that they walked here as babies and stopped to rest under the shade of the Big Rock, only to feel a little silly when they grew so much taller than their adopted glacial erratic mother. At that point, their root systems were too large to relocate and they were forced to stay there forever, watching people return carts at Safeway. Or NOT return them. The trees don’t judge. They simply observe. There’s a lot going on In the Duv this week. Elementary school kids should get their report cards this Monday so keep an eye out for those. Tuesday is Valentine’s Day so please show love in appropriate ways to your fellow Duvallians. It is the custom of citizens of our fair city to accept flowers, gifts, and chocolate on this day of days. Provisions can be found at Duvall Flowers and Gifts, Country Collections, Tuxedo’s, Duvall Family Drug, Family Grocer, and even Safeway. If you have more ideas, leave them in the comments. There is also a school board meeting on Valentine’s Day. I am not kidding. So, feel free to show the love to our schools if you’re into that sort of thing. Thursday night at the library at 7pm, you can bring your writing to the Duvall Writer’s Group for critique and polishing, and possibly apple bread. It’s been known to happen. On Friday night, I cannot emphasize this enough, everyone needs to go take the pizza-making class at Village Specialty Market from Chef Bartorelli. Then bring some to me. For my mouth. They have other classes this week too. Starting Friday, February 17th through Tuesday, February 21st there is no school in Riverview SD due to Mid-Winter break. It’s a great time to go for walks on our beautiful trails or head to the library and check out some books on Black History. Teen Anime lovers can get their art on at the Duvall Library this Saturday from 1-3 where the library is hosting Animania – a festival of Anime. If you’re wondering, “What the Cosplay? 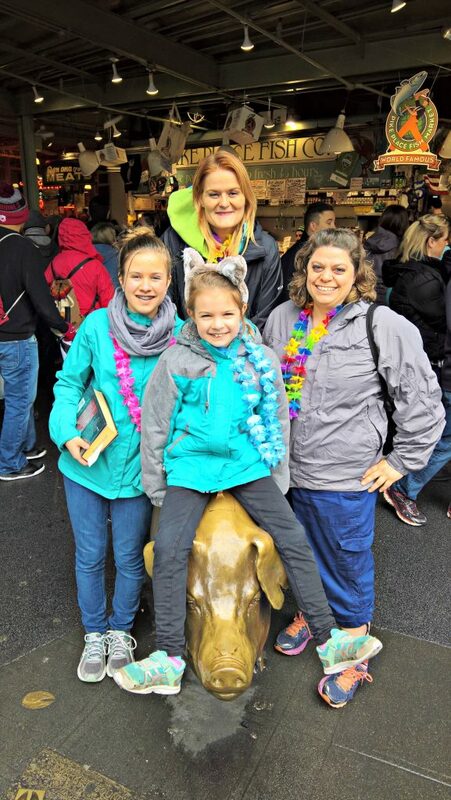 !” in downtown Duvall on Saturday… this. 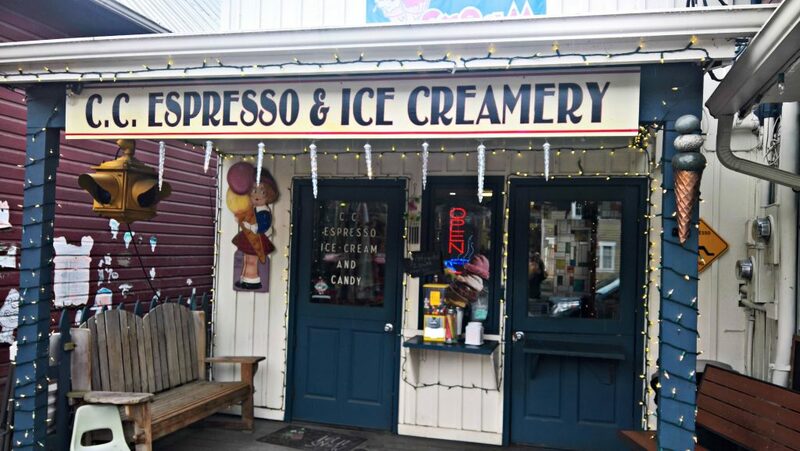 Although not actually in Duvall, if you’re willing to brave the journey into Carnation, Sno-Valley Senior Center is hosting their annual Wine and Chocolate Tasting on Saturday with food and art from local vendors and artists. There will also be live harp music from Cynthia Kuni. We live in a gorgeous place of gorgeousness. I was having trouble finding the rest of these on King5.com. Thanks to Sue Linnerooth for uploading them to YouTube.